Custom Catios builds beautiful cat enclosures. That said, once we complete a job, we hope homeowners will take our creations to the next level by adding cat beds and hammocks, signs (“No Dogs Allowed!”), toys, bird feeders (approximately 10-15 away), and plants. Especially plants! For example, Debbie in Mount Washington planted Asparagus Fern, variegated Cast Iron Plant, Parlor Palm, Christmas Cactus, and Japanese Forest Grass (see photo). “Adding a plant or two that moves with the breeze is a must,” she says. 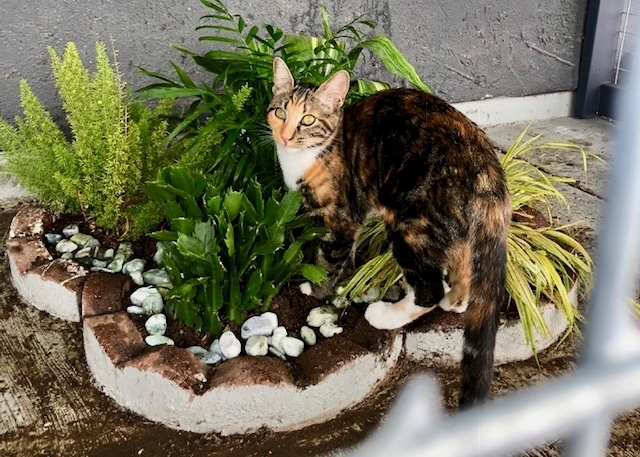 Ashley in Tarzana, whose enclosure was built on top of a planter, regularly plants cat grass seed from Pet Food Express (see photo below). Christine DeMerchant writes over at Dirt On My Hands that cats like Catnip, Valerian, Cat Thyme, Cat Grass, Spider Plants, Honeysuckle, and Silver Vine. Also see her post on cat gardens. 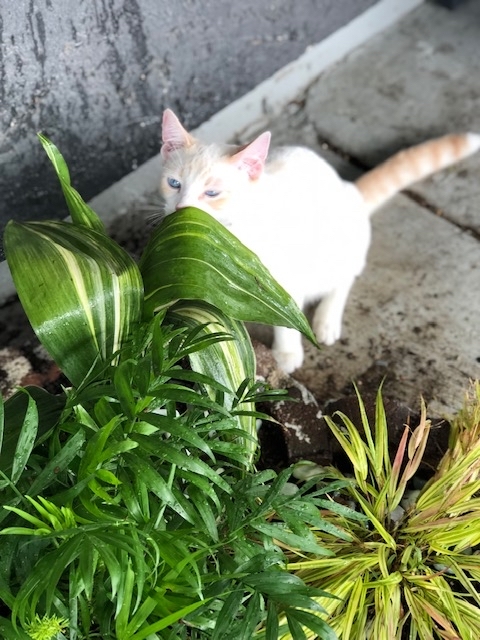 Cynthia, who owns Catio Spaces, which we often recommend to folks in the Pacific Northwest or for those looking for DIY plans, recommends Wheatgrass, Catnip, Cat Grass, Creeping Zinnias, Marigolds, Impatiens, Asparagus Fern, Thyme, and Rosemary. 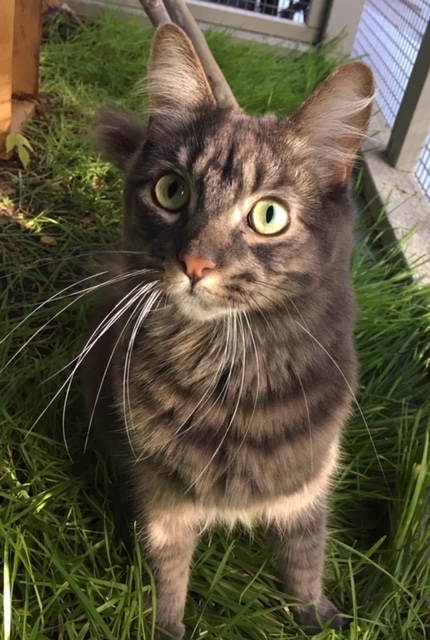 Chirpy Cats explains how to create a cat safe garden which includes some great insight into planting Kiwi Vine and Giant Sunflowers outside of enclosures. Inside she prefers Catnip, Lemongrass, Spider Plants, and Ornamental Grasses. Do you have other recommendations or examples of plants in catios? Please send them along and I will add them to this post. Thanks!